UPDATED 9/28 (9:35PM PST) – That didn’t take long. Earlier we reported that the upcoming Mindy Kaling-scripted late-night talk show movie in which she will star alongside Emma Thompson was generating interest among major studios. The Hollywood Reporter broke the news that Fox 2000 has grabbed the title. Elizabeth Gabler and Nikki Ramey are charged with overseeing the project for Fox 2000. EARLIER: Without any studio officially attached yet, a new late-night talk show-set film (as of now untitled) may yet start a bidding war. Mindy Kaling (The Mindy Show) penned the screenplay and is looking to star alongside 2-time Oscar winner Emma Thompson (Saving Mr. Banks). Variety broke this story. The story follows Thompson’s character, a veteran late-night talk show host who is on the verge of being fired after hiring her first female writer, to be portrayed by Kaling. Sources say several bidders are already in the mix and this project is going to be a hot one. Kaling is a powerhouse in the comedy world. She is best-known for creating, writing, and starring in her own show, The Mindy Project, which originally debuted on Fox, but then later moved to Hulu. 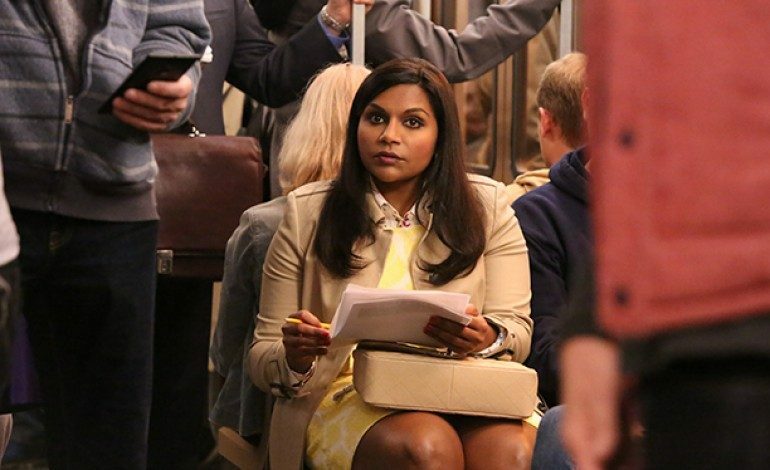 The Mindy Project is gearing up for its season five premiere. Kaling is also attached to star in the new Ocean’s Eight, alongside Sandra Bullock and Cate Blanchett. If you really need proof that Kaling is on a roll just look into Ava DuVernay and Disney’s A Wrinkle in Time adaptation where Kaling is set to play Mrs. Who. Kaling is not the only actor hard at work; Thompson can most recently be seen in Bridget Jones’s Baby and will voice Mrs. Potts in Disney’s live-action Beauty and the Beast. The film will be produced by Fences producer Scott Rudin along with Kaling, and Howard Klein. We will stay tuned to future developments.